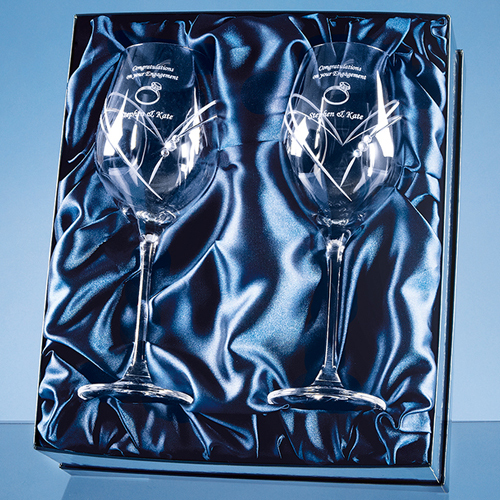 The wine glasses are decorated with heart shaped cutting and have 3 Swarovski crystals bonded to the glass. They have an engraving area where they can be personalised with any crest, logo or wording. The come presented in a satin lined box and would make a great wedding or engagement gift.